Contact us to arrange a workshop and see our calendar page for forthcoming events. Drumming and singing – unity of rhythm and soul. After singing for ten years with the a cappella group Stupendams in Barcelona, also running a community choir in Spain, I returned to the UK to train as a Music Therapist in Cardiff. I’m now involved in community well being and arts and health projects in Wales. With Music and the Muse, I offer singing and drumming workshops for health and well being; for relaxation, confidence building and for stress busting. The workshops are fun with music from both near and far– all taught by ear so no previous experience is necessary. We improvise. We include some beautiful percussion. Everyone is welcome. “Really enjoyed the simplicity, fun, hands-on with the drums, very good guidance.” Songs from Cuba workshop with Music and the Muse, Hay on Wye. Singing is our birthright, natural and open to all, without worrying about having a “good” voice or “getting it right”. Each person’s voice is unique, tensions can block our natural voice so we focus on breath and bodywork as the foundations of healthy voice use. We give people confidence in their natural voice by providing a supportive learning environment – in this culture many people think they can’t sing because of previous criticism, or have been excluded from singing groups if they can’t read music. We believe that singing should be accessible to all regardless of previous musical ability or experience, so we create a sense of an accepting community. “We can’t stop singing in the bus on the way home!” Participant at a day center for adults with learning disabilities. “Really good session – inclusive, team building, catered for everyone.” Confidence Building Through Music Workshop. 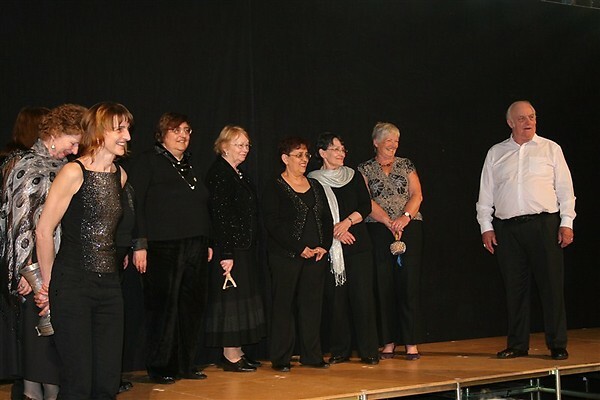 The singing workshops are joyful and uplifting and can be tailored to suit your needs. Contact us for more information.